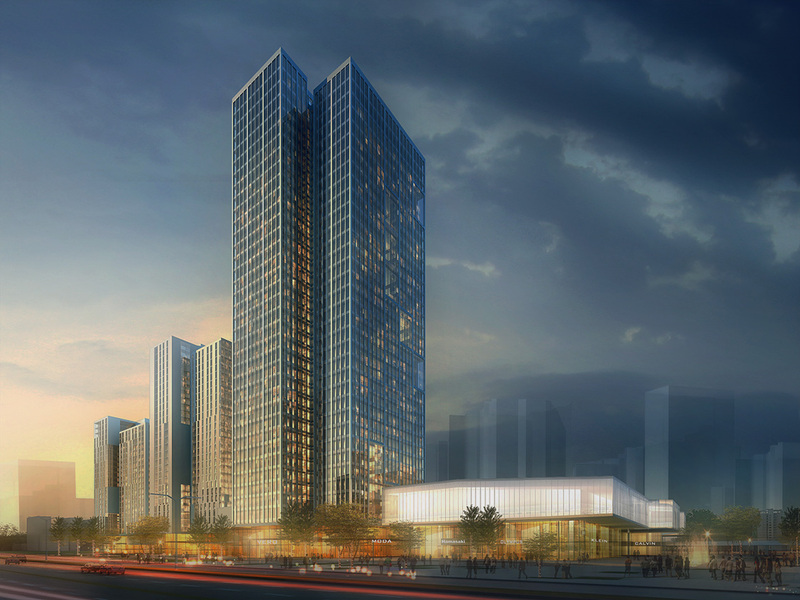 As part of the larger CBD Mall complex, these three towers are scheduled to be completed in parallel to the large retail mall. 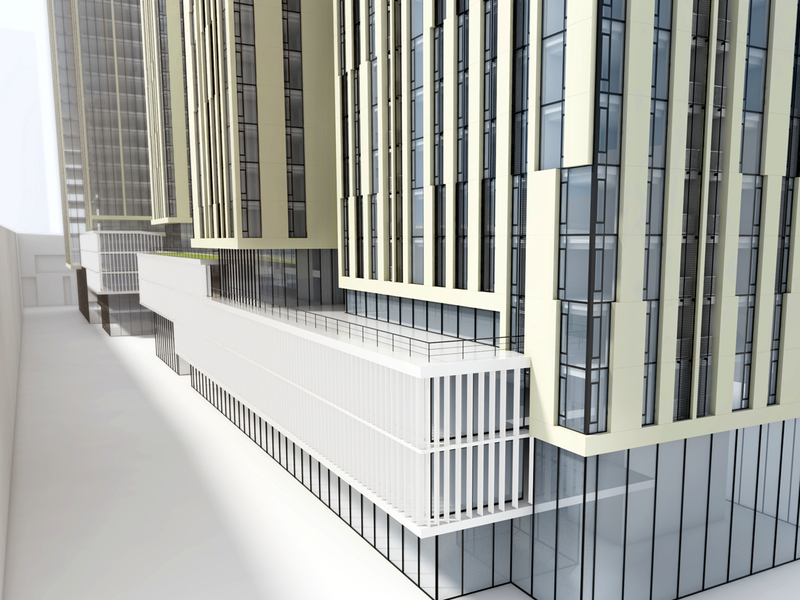 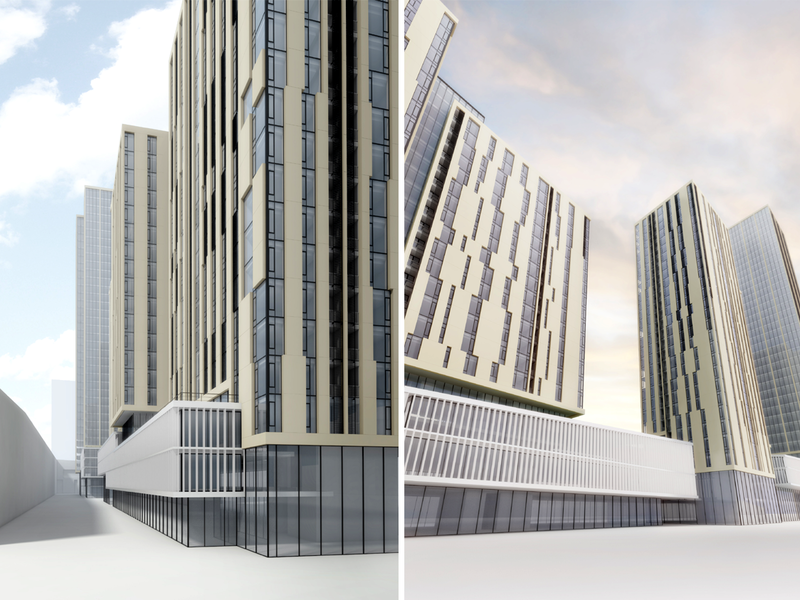 The towers contain offices and apartments and are linked by a podium building which will contain retail spaces, restaurants and a clubhouse for the residents. 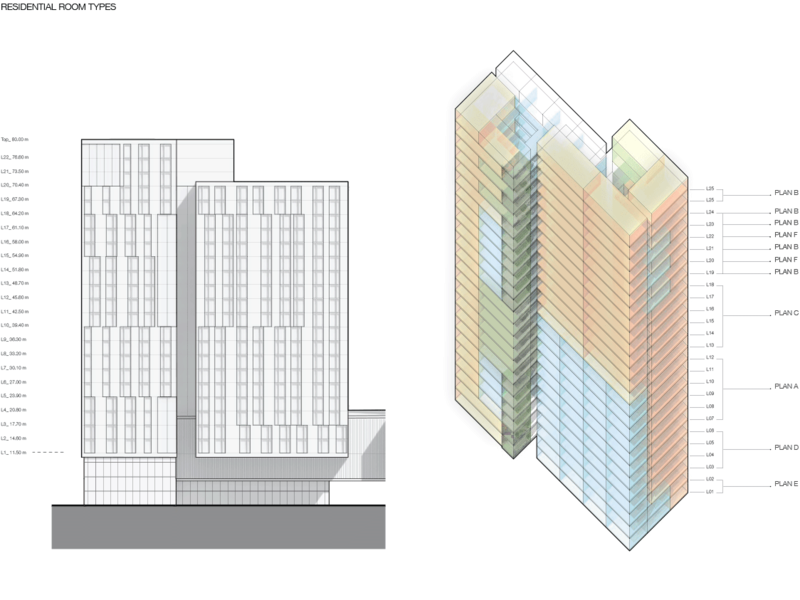 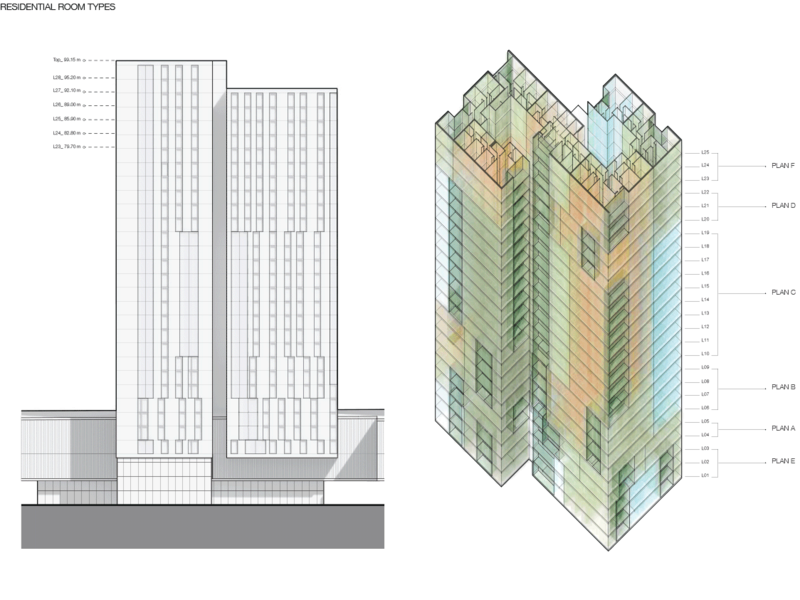 The towers massing principle is based on a system of ‘split cores’, dividing the services into two smaller cores in each tower which allows to create a circulation zone that houses shared programs or ‘social condensor’ space. 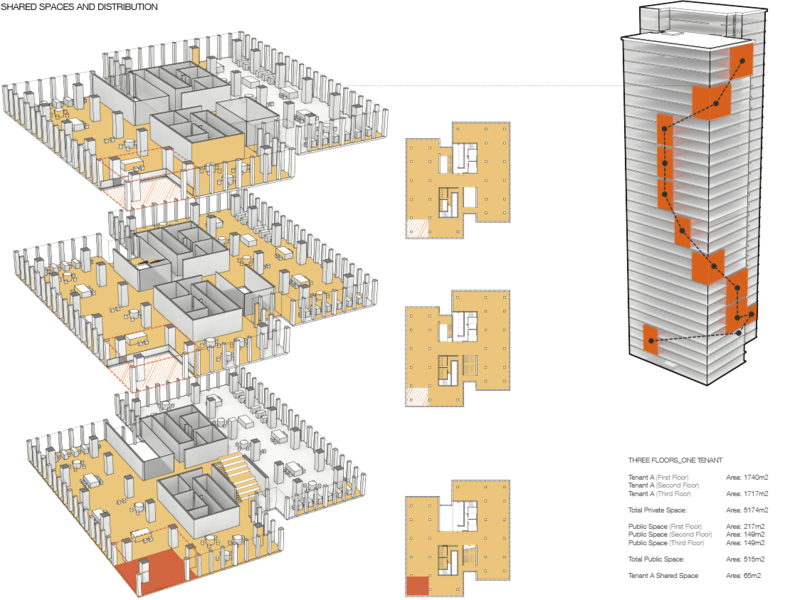 The ‘splitting’ of the outer volumes following the core positions allows for increased daylight access to the floorplans and for sunlight access to the circulation areas at the rear of the towers. 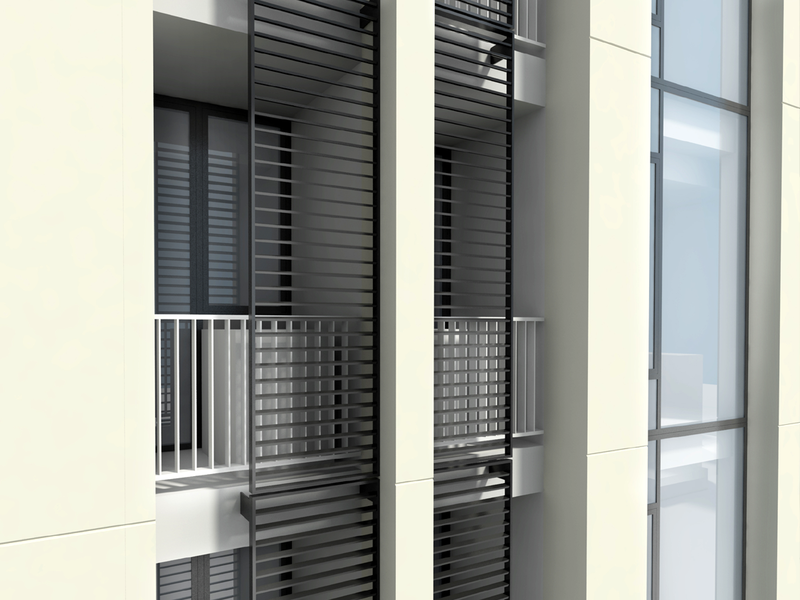 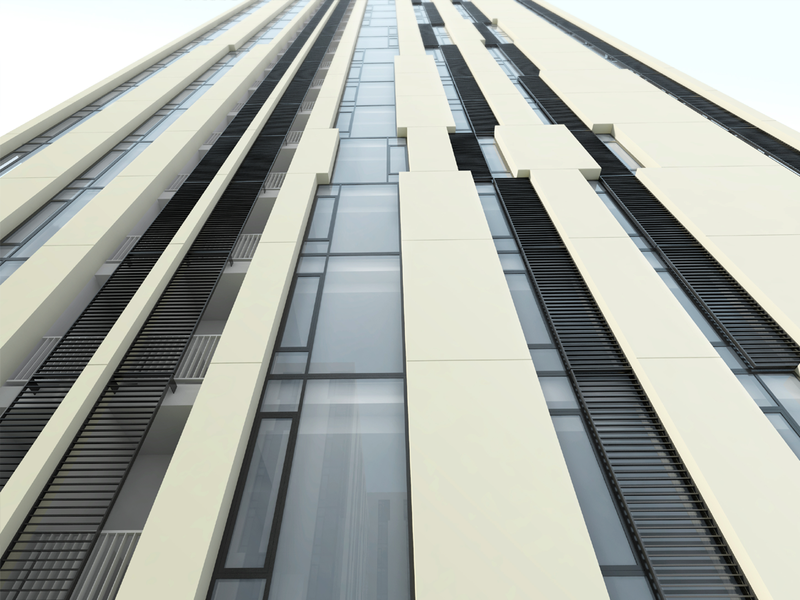 The facade design of the residential towers is based on the apartment configurations, which is determined in a generative process that evaluates the clustering possibilities and marketing value of each of the different apartment types. 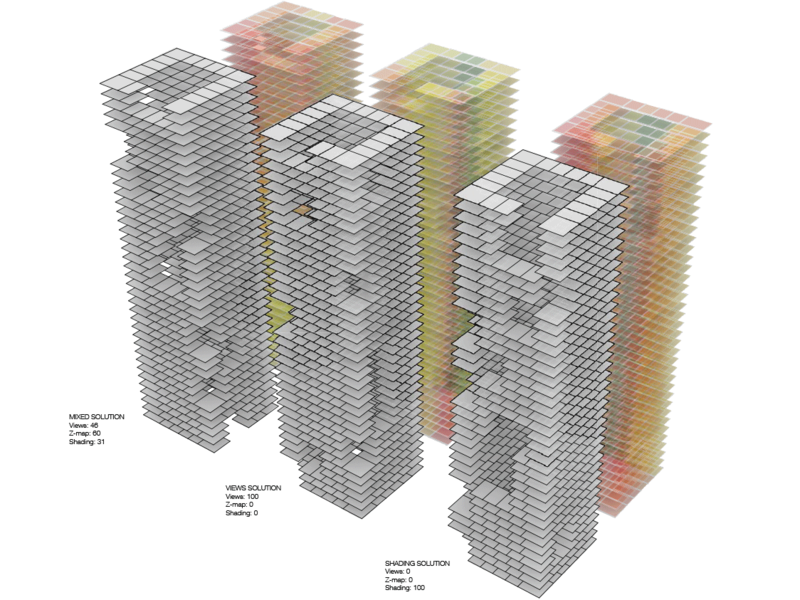 Different clustering combinations are arranged over the height of the towers to create a strategic mixing of size options and place the higher value apartments towards the top of the towers. 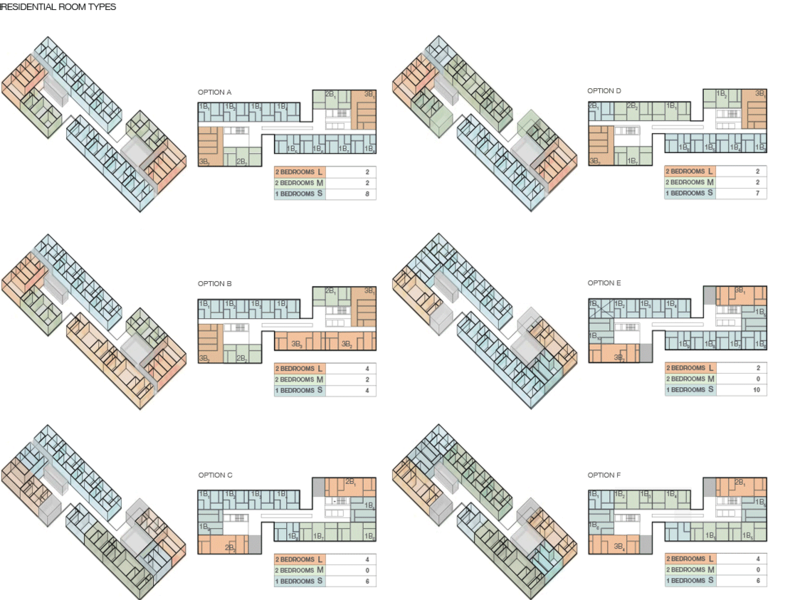 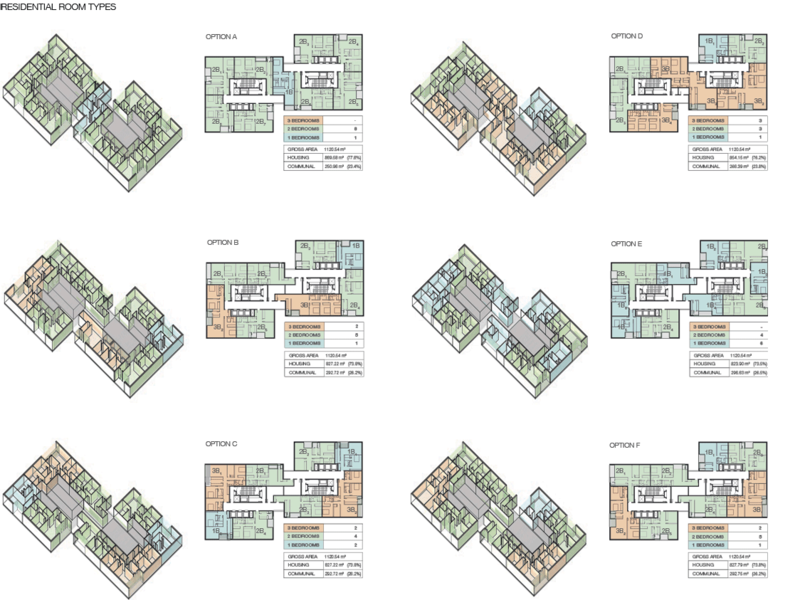 The floorplans have been developed in collaboration with local architects in China to create a carefully balanced series of apartments that integrates marketing research and local lifestyle preferences within a high quality contemporary design environment.